In October 2016, Dame Margaret Hodge MP was appointed to lead an independent review of the Garden Bridge project. As part of this review, she conducted a number of interviews with key people and organisations. To aid future research and debate, we have committed to transcribing these interviews into a searchable, full-text format. The completed transcripts can all be found on our Garden Bridge Review page. Please be aware that this is a large project – combined, the interviews comprise around 250,000 words. We thus ask for your patience when waiting for the transcripts to be completed. You can read the original scan of this interview here. The interview took place on 21 November 2016. Present were Dame Margaret Hodge MP (MH), Margaret Kalaugher (MK), Lord Mervyn Davies (MD), Paul Morrell (PM), John Heaps (JH) and Bee Emmott (BE) of the Garden Bridge Trust. MH: I’m going to start by saying two things: we are recording. Are you all right not putting it in? Is it working okay, this? MH: Simply because then nobody can say, “I didn’t say that”, “I did say that” if that’s all right. We will transcribe it and you’re very welcome to have a copy of it but that’s literally so that nobody can argue because I’m on my own so it sort of slightly makes it difficult. I’m still early in what I’m doing so if I may, if there are things that come up later on when I chat to other people, if I can talk to you again that will be incredibly helpful. MH: We’ll see what we get through today. I mean they have landed me with stuff like this so in between trying to do everything else I’m trying to do it’s sort of, you know, as I go through further material, there are endless FOls and ridiculous stuff like that that I’m having to look through, all on my tot. So, I don’t know who wants to start. Do you want to just start talking about early days, how you came in to all this and how the whole thing emerged. And just do remember I’m honestly not — don’t try and convince me of the pluses or the minuses of it because I am staying absolutely neutral. People are trying to convince me it’s a good idea, it’s a bad idea, but I’m trying to be completely neutral on the actual, “Should we be doing this or shouldn’t we?”. It’s just process and VFM [value for money] really that I’m after. MH: So the idea that there should be a trust came from? MD: Came from, right from the outset. MD: Yes. They’d drawn a structure. PM: — and therefore Thomas was looking to populate it. MH: They looked to Thomas to populate it and where was Joanna at this point? MH: So it was a TfL concept? JH: As I understand it. Well, you were all there at the background to that. MH: Were you around at that point? MH: Where were you at that point? MH: You were working at Heatherwick. BE: I was at Heatherwick Studio and Heatherwick had won — I wasn’t involved in the Garden Bridge competition, it wasn’t a project I had anything to do with at the beginning. So, they had won the tender and you’ll know all about that from speaking to Thomas and TfL and so on, and TfL had committed £5 million to get whatever project had won that tender through to planning permission, to get it planning consent but they had always said they would not deliver the project. And so, as I understood it, from memory they were exploring what the options were and one of the options was a charitable kind of vehicle that would deliver the project and be responsible for the fundraising and the delivery of it, so would take over from TfL at the point of receiving planning consent. And so, that’s the point that I think Mervyn got involved, it was sort of summer of 2013 and then the charity was set up in November of 2013. MD: And then we did a skills matrix of what sort of skills the Trust would require, what sort of trustees and then we put a team together that was – would be equipped to handle a project of great complexity but an iconic project and obviously we didn’t take the project on in totality until much later. MH: What does that mean? MD: Well, we were effectively working side by side with TfL. BE: So I was seconded – as I was saying I wasn’t part of the Garden Bridge project at Heatherwicks, I was seconded separately as a Heatherwick employee across to the Trust so working for Mervyn. And then I moved across formally, I left Heatherwick Studio and I became a full time employee of the Trust in April of 2014. MD: Hold that. What sort of allegations? MH: Well, let’s just leave it like that. I’m having to look at the processes whereby — well, let’s have a look at the trustees for a minute, if I can find the bit of paper, that were on the Trust. Have you got that? Have we got the trustees? MD: But that’s — sorry, can I just go back a step and ask what’s the remit of this? JH: Except you’re then looking at allegations. You say there’s allegations that you’re looking into about the charity. We are – we have to be a bit careful because you know, because the Mayor has been so clear on his press release on the subject that the Charity Commission is currently looking at the charity. JH: So, how many people do we answer our questions to? MH: I’ve no idea, it’s up to you. What I’m hoping is that you’ll help me to do the job that I’ve been given by the Mayor. If you choose not to I will of course reflect that in the way that I write the report. JH: No, we’re not saying that. PM: We’re not choosing not to, nothing like that. MH: I just want to know how you’ve come together. JH: But, Margaret, what’s the allegation? MH: I’m not going to be drawn on that. I want to see how you drew that group of people together. I want to know how you drew that group of people together. And if I can find some way — well, you’ve got them, can you let me see where the membership is? I’ve got it somewhere. Will I get it immediately, now? Okay. MD: Well, as I mentioned previously, I’ve run a number of major charitable organisations, I think, and boards of directors. The first thing you do is you look at the task in hand, you look at the skills that are going to be required, particularly when, as you say, it involves public money. That’s exactly what we did. So we drew up a skills matrix of the types of skills that would be required in construction, in communications, in fundraising, in the legal issues, and then we put a team together that reflected that. We have property expertise, we have construct ion expertise, legal expertise, fundraising expertise and project management expertise. And also, because Joanna [Lumley] had been involved in the, sort of, the original idea, we thought it — I thought and so did the other trustees, a good idea for her to be a trustee as well. So, I’m highly confident or, you know, certain that we put together a trust with the right skills to cope with a complex project, an iconic project and one that was a mix of public and private money. MH: Have you got a list? I’m really sorry, I’m just not finding that. BE: I don’t have a list on me, no. MD: We can send it to you. BE: I can send you one. MH: Right. No, I’ve got it somewhere I just wanted to go through them. BE: Or it’s on our website actually which might be easier if you’ve got WiFi here. MH: That might be the easiest way to do it, might it not? I’m just trying to – I have got it somewhere. It’s just — to be absolutely honest, it took me so long to get in that my getting ready before – which is what I was hoping to do – I haven’t been able to do. So I have got the bit of paper somewhere. Shall we just see if it’s on your website? BE: Yes, it is. Let me see if I can get it. BE: Yes, so if you scroll down, Mervyn’s at the top and then just scroll down. MH: Thank you so much. Thanks for doing that. Right. BE: Because it’s probably worth just saying as well, when we set up – when the charity was set up in November 2013 it was a totally separate charitable entity, separate from TfL, separate from anything else. TfL were given an observer status so they sit on our board meetings, they attend every board meeting so they have full oversight of the decisions the Trust makes. But the private — we secured very early on private sector funding to cover the operations of the Trust so the public sector funding isn’t going to any of the operations of the Trust or to any of our employees and so on. BE: So any funding from the public sector is all towards infrastructure. MD: Well, Coin Street would be conflicted, wouldn’t they? Coin Street would – you know, we’ve had, for the last three years, huge involvement with Coin Street; I’m meeting them tomorrow. I think they would be conflicted, don’t you think? BE: We have to do a commercial negotiation with Coin Street. MD: No, we looked at — as you know, we’ve had great success on fundraising. MH: We’ll come to that. MD: Well, okay. But we have had great success on fundraising. The most important thing is to look at what the project needed to make sure that the individuals have the necessary skills, make sure that they had the time commitment to commit as volunteers to a hugely complex project. And rest assured we have had that type of trust, hugely engaged and that’s all I would say really. MH: Okay. So Clare Foges, for example, brought what? MD: Communication and digital skills, huge experience in digital campaigning, social media skills and writing skills. MH: How did you know her? MD: Rohan Silva was involved right at the outset and then found that he was too busy. You know, I think in having run a number of independent charities you want people that are engaged and have the skills. MD: But you picked one trustee. MH: Well, I was just looking through the list. I just wondered, you know, how you’d collected the group together. MD: By looking at the skills matrix and going and talking to one or two head hunters on the sort of people that were around. Obviously Paul has huge construction experience so we needed that. You’ll see that we also got people with project management experience, so we have a Trust that was well equipped for the task. JH: And in the early days I think it’s true to say that we shared our proposals for trustees with TfL and with the Mayor’s office. We didn’t consult but we advised. MD: We made sure that the stakeholders were happy with the make-up of the Trust. MH: And the stakeholders were TfL and the Mayor. MH: Okay. It’s difficult to know where to go to next. Can I just get some feel of where is your expenditure to date out of the public money? BE: But we’ve since had a claim from the Mayor’s office via TfL for a further £990,000 to be clawed back, historical costs. MH: Right, that’s from their £5 million? BE: That’s from their total £30 million contribution. So that’s added on to the £36.4 million. MH: Yes, but they’re claiming that for work done out of the £5 million that they assessed that they would need. MH: The £5 million is on top of the £30 million? BE: No, the £5 million is part of it. MH: It’s part of it. Okay, right. BE: And before the Trust took full control of the project, which was in July 2015, TfL had spent £9. 7 million and we took a long time to get that exact figure so that we as a charity were taking on, you know, known expenditure, so we had that all documented. And then in September this year, 2016, we got a claim for a further £990,000 and that’s for some historic costs prior to July 2015 when the Trust took over and some is costs since July 2015 on protecting their own assets within things like London Underground has to do certain work, so covering those sort of things. MD: Shall we get Bee to give you an update on where we’re at on the project, would that be helpful? MH: Yes, that would be really good. Go on, so where are you now? MH: I want to come back to discharging — the certainty about the maintenance and the management income. MH: Because that was a key planning permission, wasn’t it, from both? BE: Yes, that’s a — it’s a planning condition, it’s pre-construction but it’s once we’ve got the interest in the land and we haven’t yet got the interest in the land. MH: Yes, but when you say “discharged” that was the — I would like to come back to that. BE: Okay. We then, in parallel, have been doing the land negotiations, so on the north side we’ve got Westminster Council who have to go through a fairly complex process by which the land on the top of Temple roof where we land has to change ownership. So, we’ve been in discussion with them for about a year and they’re about to hopefully – they wrote to us a couple of weeks ago to say they’re intending to start the process by the end of this month. BE: For exchanging the land so that we have the interest in the land so we can put in the infrastructure. MH: Is it their land not TfL land? BE: The roof of the station is TfL’s and the air space above is Westminster and then the Duke of Norfolk has protective rights over it. So it’s complicated. It’s not a process they do often. And then on the south side we have to do a negotiation with Lambeth Council and the Coin Street Community Builders, so Lambeth are the freeholder of the land and Coin Street have a long lease. BE: So we’ve been talking to them. Coin Street was one of the first stakeholders we went to see about the project and they have always maintained that they will support the project as long as government, the Mayor, both councils want the project to succeed they won’t stand in the way. So we have, at some points, made quite good progress on negotiations and at other points it’s been slower because of the various interventions externally that have taken place. So we’re now in a place where we are hopeful that we can conclude negotiations by the end of the year. MH: What makes you confident that you will conclude those to do with Coin Street? I don’t see what – where’s the – I haven’t seen the evidence of that confidence. They seem to have moved. I mean, I was going to ask you about that because it seemed to me that in the early days, I don’t know when you started talking to Coin Street. MD: They’re the first people we saw. PM: They were the first people we saw. BE: The first people we spoke to. MH: The first people you saw. PM: On the grounds that there could be no bridge if we couldn’t have some land for it. MD: And the Mayor’s office, everybody’s been involved with them. MH: — more negative than positive direction. MD: Well, that’s hearsay. I mean, the fact is that — sorry? BE: Yes, no, carry on. MH: I’ve actually talked to some of them. MD: Well then, they’re being duplicitous. I mean, the whole spirit of — there is no bridge without Coin Street. BE: His chief of staff has facilitated a number of meetings this summer to try and conclude negotiations with the three parties. PM: They are difficult people. MD: They’re difficult people to negotiate with. PM: I’ve dealt with them where I did a similar thing with Rambert Dance and it took two years. After that they gave Rambert two years to conclude the agreement. So I remember saying in the very early days to Mervyn, “This will not be easy”. I think what is true to say is they’ve raised the bar throughout the conversation. But all the time confirmed what they intend to do there. MD: Yes, but, you know, it is a difficult negotiation. PM: The sum package that will go to Coin Street is more than the net amount being given by the Mayor to the project. It’s more than £10 million, the value of the package that’s going to them. MD: Shall we go back to… ? MH: So you’ve got the — yes, when you get that then you can move. BE: Yes, then we can sign our section 106 agreement which is the agreement we have with each council and then we can discharge the remaining planning conditions which are things like our operation and maintenance plan. MH: Yes, which we’ll come back to. BE: I haven’t had anything at all to do with that. PM: Because we’re not bound by EU procurement rules, we nonetheless agreed with TfL that we would act as if we were. It was therefore advertised and went through an entirely transparent process operated for us by Arup. I was involved in interviews throughout. The recommendation came from them not from the trustees as to who we should appoint. PM: From people who are operation and process (Inaudible). I mean, I had quite strong feelings. Actually I changed my mind as to who I thought the strongest offer was and then they recommended the people I thought had the strongest offer anyway. So it was Arup. PM: Arup. Arup ran the process for us. MH: Arup ran the process for you. MH: And are Arup still employed by the Trust now or by TfL? PM: No, we created a new one. MH: You created a new one. BE: That was when we took over the project in July 2015. MH: Right. But I mean you had no option really but to continue with Arup at that point. PM: We had no wish to either but we’d preferred the better deal than the one we thought had been done by TfL; they awarded it on a cost plus basis and we couldn’t live with that. MH: Are they still on a cost plus basis? PM: No, we couldn’t live with that. MH: So what are they on with you? PM: They’re on a fixed fee. MH: Okay. Can you explain to me, Paul, this is pretty — why did you let the contract before you had the permissions? MH: But belief is one thing but the certainty of having those — I mean the NAO [National Audit Office] report is pretty critical at that. MH: But risks are not to the Trust at the moment, the risks are to government. PM: As it happens, yes. MH: Well, because you negotiated that, didn’t you? PM: And because the underwriter did, yes. MH: Yes, it was the underwriter. PM: An alternative was to stop and that was the choice we gave them. MH: And there was no other way of designing it so that you could have had a more limited exposure? PM: No, I think if we had known then where we are now we might have – there are some things that we got — we needed to do to be ready to start construction, which is to say it’s better going backwards, we might have said that it might not have been done. PM: Like starting to look at the construction of barges for example, to move the thing up the river and so on. We can show you absolutely how every penny got spent through the process as we’ve done with the Charity Commission. MD: We’ll give you the chart of how it’s spent and what the timing was. PM: I have no doubt that, you know, as I say, with the wisdom of hindsight you could say, “Well, you know, you could have not done that”. All the time the consequences of not doing it would have been delay. We were, in the early days, trying to operate against a deadline that was set by Thames Tideway and then by the fact that we knew we were in an inflationary market for construction. We wanted to get into the market and get a price tied down, which we did. JH: And also maintain momentum on the fundraising side. MH: Yes. We’ll come to that. But I mean, don’t tell me there aren’t clauses in the contract that will cost you more because of the delay. So how did you defend yourself against inflation in the contract? MH: Against inflation in the contract. MH: You said you wanted to sign an early — you wanted to sign the contract early because you wanted to protect yourself against inflation. MH: Yes, but given the delay, the delay will mean that the contract will now go on. PM: Absolutely. Yes, of course. But again, that’s a case of saying now, knowing there will be delay. But also, all the time we had the ability to stop that arrangement with them. MD: Shall we go back to where we were and maybe, Bee, you take us through where we’re up to and that’ll explain it mostly? BE: So, we got our contractor on board and we appointed them in February 2015 – 2016, sorry. And then what we had to do because of delays which were — there were a number of things but Westminster hadn’t started their process so we weren’t going to get the land in the timeframe we had anticipated. It was taking them longer than they’d envisaged. Coin Street, we hadn’t got — secured a deal with them. MH: What was the Westminster delay? BE: It’s just taken them a lot longer to get through the internal process and understand what they’re comfortable with, what level of exposure they might have to live with. MH: And that couldn’t have been predicted? BE: They told us it was going to be a lot earlier than it has ended up being, I mean what it’s going to be. MH: How much longer than they said? BE: We’d been talking to them for about a year; we were expecting it to start at the beginning of this year. MH: Explain that. You were expecting them to start the process in January 2016 and they’re going to start it probably January 2017. BE: Obviously they’ve never said to us, “It will be in a year” it’s been kind of month by month or, “It’ll be a couple of weeks” or “There’s this cabinet decision that’s coming up”. BE: It was the end of 2014. MH: End of 2014 they said they would start the process 2015? MH: You get into 2015 and they’re actually starting 2016. MH: And none of that could be predicted? BE: — opportunities for judicial reviews, all sorts of things. I mean that’s really a question for them I only know what they’ve told us which is, you know, that they expected it to be quicker than it was when it’s taken longer. MH: I mean people build on their land all the time, I would have thought. MD: It’s probably helpful to know that we had planning experts who were assisting us and there was no suggestion from them at any stage that that kind of problem was going to be encountered. MH: Well I was going to say people must build on Westminster — I don’t understand the air and the ground but I mean people will build on their land the whole time. And TfL would build on their land. PM: It’s public open space, isn’t it? MD: Public open space and the threat of JRs [judicial reviews] I think. BE: Yes, so you have to remove the fact that it’s public open space. MH: Right. But you’re not on that — you’re going into that little garden there, aren’t you? BE: No, we’re going on the top of Temple Station. MH: But you’re not — so what’s the open space? PM: The top of the station. BE: The top of the station is public open space. MH: That counts as public open space. MD: Open space, yes. Yes. MH: When was the judicial review lodged? Was it before you let the contract or after? BE: After we let the contract. PM: Just on the letting of the contract. I said that we needed a contractor aboard. He was aboard under a pre-construction services agreement which is quite usual in the industry, so basically on a fee basis from that point. MH: Fee for the stuff, the work they would do? PM: What they were required to do in order to clear the conditions of planning and prepare for construction and so on. When we signed the contract there was actually no additional liability created by doing that than already existed under the pre-construction services agreement, but they were getting very anxious that they hadn’t got a long-term contract. MH: Explain that to me, Paul, I’m not an expert on this. MH: At what point do you get liable for loss of profit on the main contract? PM: Never, unless we’re in breach. MH: So why have you got this great big liability? PM: Unless we were in breach. Because of all the time they spent. The liability to them is not to do with loss of profit, the liability to them is in respect of their costs to date which have basically all been paid and clear. MH: So why do you need the underwriting on that? PM: Because some of that money is being private money which will be subject to clawback. PM: Some of the bills that we have paid have been paid with private donor money which is subject to clawback. PM: And so before we incurred those liabilities we spoke to government and the TfL and said, you know, “We actually can’t proceed beyond the point when the charity is solvent so we now have a choice; we stop or it needs to be underwritten”. That’s what the underwriting is for. BE: And DFT, when they did an audit, in the summer, of the Trust’s position, when Chris Grayling became the Secretary of State they did a full audit and they looked at what the clawback is for and the breakdown of that and so on. So, it’s very clear. MD: And they were very comfortable with, you know, the arrangements put in place. MH: None of the money is — all the money, all the private money you’ve got, that you have spent so far is all subject to clawback? BE: No. So the operations of the Trust are completely underwritten. MH: Yes, I understand that. BE: And we’ve got some additional funders where the money is not subject to clawback, effectively they are happy for it to be spent at risk. But the significant funders, our major funders, clearly, the benefit of them giving the funding is the project is delivered. So if the project isn’t delivered we need to pay their money back. MH: And how much of the money currently spent is subject to clawback if the bridge never goes ahead? BE: It depends how you carve it up in — that’s a complicated question but of the money we’ve spent it’s about £5 million. MH: So the £9 million, £30 million, why did you feel you originally needed £30.5m and then reduced to £9m? BE: We needed £15m originally. We asked for £15m. MH: And you got £30. BE: We got £15m to cover us through to September and then because we weren’t able to proceed with construction at that point because we had the JR, we didn’t have the land in Westminster and Coin Street, we asked for an extension to cover us up to the new construction date which we hadn’t assessed because it costs a lot of money and a lot of stakeholder engagement to know the exact construction, the revised construction programme. And we asked for £15 million because that’s what we had forecast to cover us through to the start of construction. Now, obviously if we stop spending money we can keep it below that £15 million. So what we’ve done since the new government has given us the £9 million cap is reduced our expenditure as far as possible so that we can never exceed that £9 million cap. MH: So what are you not doing? MD: We’ve stood the contractor down. PM: We’ve stood the contractor down, yes. MD: We had no choice. MH: So all that pre-construction stuff that you deemed necessary is not happening? PM: No, we had – all the work necessary to get us through planning has been done. MH: So what is not being done? PM: No construction is being done so they’re not starting work, they’re not — we’ve let the team go obviously. MD: We let the team go because with all these reviews and with the fact that the deal with Coin Street is not done, we need to know that, you know, we had to get the JRs out of the way and obviously there have been continuous reviews. So now we’re in a position where we have the fundraising, which we’re going to come to, the fund raisers, you know, the backers are still there and obviously we have a very good pipeline but clearly they’re waiting to see what happens. PM: The original agreement had both a figure and a sunset date on it. PM: The original underwriting had an agreement for September 2016. PM: So we just asked because JRs and everything else and because of the assignments with Westminster and Coin Street, we asked for that to be in the same amount but just to be extended for another year, which would — and then if that had happened then we would have been able to fund the contractor carrying on work so we are more ready. MH: I’m sorry I’m being a bit dopey, I’m not a builder. So, you’ve stood the builder down, you’ve stood the contractor down. They’ve done enough work to get you through your planning permissions but if this scheme now goes ahead there will be a built in delay whilst they do what to enable you to stop the contract? MH: And have you any idea what the additional cost, if any, of them restarting, would you know? PM: No, I think our best bet — I think we’re now north of £200 million. MH: And that’s assuming a start in 2017? PM: End of next year. PM: Which is probably now the best we could do. MD: Which is the best we have to do, yes. PM: Well it’s what we have to do. MH: But you’ll go back to the same contractor, just to get that clear? MH: — Tideway Tunnel because originally that had – you know, the idea was that you had to complete this before they started that work. That is now — they’ve decided you can do the two together, have they? BE: Too much activity in the river, yes. PM: — once the soil is coming out of the tunnel. But I spoke to Andy Mitchell who’s the Chief Executive of the Thames Tideway and he was fairly new at the beginning of the project and he said, “Look, we’re both trying to do something good with the Thames, aren’t we? We just have to work this out”. They’ve looked at our construction methodology. The reality is that once our piers are built, the operations to actually put the bridge in place, so they’ll come up in massive, you know, 100 metre lengths up the river. They’re almost literally weekend jobs putting those things in place. They’ll come up — they’ll moor near where the bridge is being built and then the following weekend they’ll be swung into position. So actually the interruption of traffic is very limited. MH: Why would it have interfered with the Tideway Tunnel in the first place? PM: Because they didn’t know how we were going to build it so they assumed that we would be taking up a lot of river space whilst they’ve got their soil going down the river. JH: Well, they thought we would be in the river. MH: Where, by Blackfriars Bridge? BE: You’d have too much river traffic on that major construction. MH: What about the other permissions, there’s some river licence? PM: Port of London Authority. MH: To allow you to use the river? So this is the same thing. PM: No. They control anything that goes on in the river itself. So you’ve got the two councils on either side obviously and then the PLA controls whatever happens on the river. So you have to have a licence from the PLA. MH: Right, and where is that? BE: We’ve got final form. MH: And was there any problem with that? BE: Of the bridge, so you’ll be aware there’s a mayoral guarantee which the previous mayor has provided and the Port of London Authority need that as part of their agreement. So it’s in a final agreed form, it’s going to the committee, I think, December or January and at that point it will be considered by that committee. MH: Why has there been a delay on that? Because there was another criticism in the NAO report that you hadn’t got that licence. BE: We’ve got it in agreed form but until we’ve got the landing site we don’t need it until we’ve got the land and that’s when we would sign all the agreements together. PM: My recollection is they wouldn’t talk about it for a long time until the mayoral position was clear. JH: They want to know where the Mayor was, yes. BE: They stalled when we had the new Mayor. PM: There were two licences; there was a temporary licence for the work you do on the river and a permanent licence for the bridge itself. MH: Right. What shall we get to next? MH: Let’s go to the fundraising but I’ve got to find my right bit of paper. Let me see if I’ve got it here. Sorry. That’s expenditure. Brilliant, got it. I’ve got until August 2016. MD: Yes, I mean, I think — sorry, go on. BE: No, I was just going to say that’s probably the latest one provided to the Mayor. MD: So we are, with virtually all of the names listed on there, we’re in continuous dialogue. Obviously there’s the press, uncertainty, independent reviews everywhere, it, you know, could have caused a lot of uncertainty amongst the donors but actually they’re very robust and the largest there is the Monument Trust. We presented to their trustees, what, a couple of weeks ago. They remain hugely supportive as do virtually all of the donors on the list. We have a pipeline, a very good pipeline. I think the challenge with the pipeline is a number of the large independent donors and corporations obviously want to see whether the bridge is happening and so I think there’s a degree of uncertainty amongst some of the future donors but the ones that are already committed remain hugely supportive of the project. MH: I’ve read that you’ve lost some. MD: Well, I think you read in the paper that we’d lost some. MH: Yes. Is that true or isn’t it? MD: No, it’s not on the list. BE: No, it’s not in there. MD: So, you know, yes, it was nothing to do with the project itself it was to do with the change of chief executive in that company. MH: And it was quite a big sum. I think it was £75 million. BE: It was £10 million. MD: No, it was £10 million. MH: So the stuff in the press about you having lost £75 million is wrong? PM: I think it also has to be said that in any fundraising exercise you are in dialogue with people over a period of time and some harden and produce the money and some decide for all sorts of different reasons, including changes in leadership and problems that are encountered, as indeed was the case with one particular donor. Because the problems that they encountered with their own side of this, which was a project that they wanted to get involved in which was going to augment what we were doing with the bridge, and the planning and the problems that they encountered meant that they couldn’t deliver it so they had to withdraw. MH: This is the guys for £10 million, the £10 million guys. MH: This is somebody else? MH: Right. How much cash in the bank? BE: Cash in the bank today? MH: So all these, if you started the contract tomorrow, this comes to — I mean, take off the — I mean it’s £130 million so it’s £70 million here, isn’t it? MH: That total £70 million is absolutely 100 per cent, copper bottom certain if the bridge starts? MD: No. Yes. I mean there is a bit. PM: We saw Monument last week for example who I think were on your list. MD: Yes, they’ve got to know that the project is happening. MH: Yes, that’s why I said, once you start. MH: I did say that. BE: — funders have spread their giving over, say, three years, so throughout the construction. So they will give one major payment on start of construction and then they’ll give another payment a year later, a year later. MH: Yes, but they’re all committed. MH: Okay. So that’s £70 million. MH: And then on top of this bit of paper you’re clearly talking to other people all the time. MH: Can you add to that? MD: Well I think that, you know, there’s the nature of the dilemma really because a number of the potential donors who we have want a little bit more certainty. They obviously want to know what’s happening with the various reviews because obviously it delays the project and the JRs are out of the way but clearly the reviews have had a big impact on their willingness to sign something. But I think we’re, you know, confident that the pipeline is strong but clearly there has been uncertainty and press around the project. So, whether it’s individual donors or corporate donors, you know, we’ve got blue chip names. All of them, you know, passed the –you know, they’re all acceptable very respected figures and it’s a blend of individual donors, corporations and trusts. And so, I think once we show that the project is happening then we’re confident that we can get some others to add to the list and get the money. MD: Yes, or whatever, are we — do we have other names that would give money? Yes, we do. But I don’t sort of–you know, these are all signed, agreed, whereas we do have other names that would commit if we were in the river but, you know, they’re not signed. PM: It has to be said we have names that are reserving their position until such time as all this is over. PM: We have people who’ve said they won’t put it to their Board while (a) the Charity Commission, and (b) your inquiry are going. MH: Well, the Charity Commission will take forever. PM: I don’t think they will they’ve said it will be this month. BE: Yes, the report went to their committee last Thursday. MH: Right. So, you’re at £70m, plus the £60m brings you to £130m. You’ve got to get another £70m in if you’re at £200 million. PM: I think our feeling was we want half of that before we start. MD: We want to get — we need another £35m before we start. MH: So, is your view — I mean, I don’t know how close you think you are to that. MH: Are you selling it at the moment? Are you trying to sell it at the moment or are you holding a bit? MH: My review is not going to say stop it and start it. MD: — but you’re a prominent person and you get a lot of press coverage and therefore, for us, as trustees, selling the project to corporations, if a board of directors or indeed, you know, potential individual donors, inevitably they’re looking for a little bit of certainty. MH: Okay, so we’re — just so that I’ve got this completely clear, the £70 million here is certain. There was a £10 million that’s gone, that was certain, that’s on top of the £70 million. MD: No, hold up. That’s not accurate. MD: — that somehow leaked out there. It was never — you know, look, we have a number of companies, that is the list that matters. MD: Those are signed and pledged and we’re in active dialogue with all of them. MH: Okay, but this list has not changed since August? MH: Either plus or minus. MD: Yes, it hasn’t changed. MH: And you would now be looking at raising another £35 million before you restarted the contract? MH: Can I just ask, I mean, this is my — why are so many anonymous? Is — go on. BE: So, on that list the people who are anonymous are people who either want to remain anonymous. For whatever reason they don’t want recognition, that’s how they give, that’s what they’re about. MH: That’s usually individuals, isn’t it? BE: It’s usually individuals but there’s a couple of companies in there. MD: No, there’s a couple of corporates, yes. MH: I know there are, that’s what surprises me. MH: A foundation anonymous, why is that? Just so that — I mean, it’s not really sort of – it just seems a bit odd. BE: That foundation is always anonymous, that’s part of their principles. MD: Yes, it’s a huge donor to artistic organisations, museums in the UK, always anonymous. BE: Don’t know. At the moment they’ve said they want to remain anonymous and they’ve been consistent for three years. BE: And then the companies will probably make an announcement but obviously they want to tie in any announcement with the best possible press coverage they can get. MD: What they don’t want is to be — yes, they want the best. BE: They’re not going to choose how to do it. MD: To be honest they want the best possible PR for their brand when the project is happening. PM: It’s also, in my experience, not at all unusual. MH: No, I mean it’s the first one I’ve looked at. PM: [overspeaking] I recognised it as something which our opponents are making hay out of but it’s not at all unusual. This transcript provides part of the Garden Bridge Trust’s explanation of the costs incurred. No wonder the GBT don’t want to file their accounts! It will at least be embarrassing. There is a small but perhaps important omission in Dan Anderson’s article: we know from the other interviews that the conditions for letting the main Arup contract and hence the release of £10mn were changed (at ministerial level) immediately prior to the contract being let. MHodge (MH): Okay. So Clare Foges, for example, brought what? Arup was not the “main” contract, there were principal consultant but the construction contract was I believe with the French construction co bouygues m who would have employed at up ad others for post contra t duties. Mr A. You are right. Bouygues was the main contractor at this point, with Arup as a principal subcontractor. Does anyone know if Joanna Lumley was interviewed? Yes, her transcript is here. We are determined to ensure that the development process for this scheme is transparent and robust, building on the lessons learnt from the Garden Bridge. The outcomes of our work will be subject to an Internal Assurance Review (IAR) and Independent Investment Programme Advisory Group (IIPAG) review. Extract: “The warnings, included in newly released minutes of meetings of the Garden Bridge Trust’s board, show one trustee queried whether directors of the firm that was to own the bridge could be held liable for losses if they were seen as having acted recklessly. Apologies if this has already appeared somewhere hereabouts. Garden Bridge Trust accused of ‘misleading’ bid for TfL money in Architects Journal article. “MPs are calling for a Parliamentary inquiry into the Garden Bridge after evidence emerged appearing to show the charity behind it may have misled Transport for London on its financial position as part of a successful bid for a further £7 million of public money. 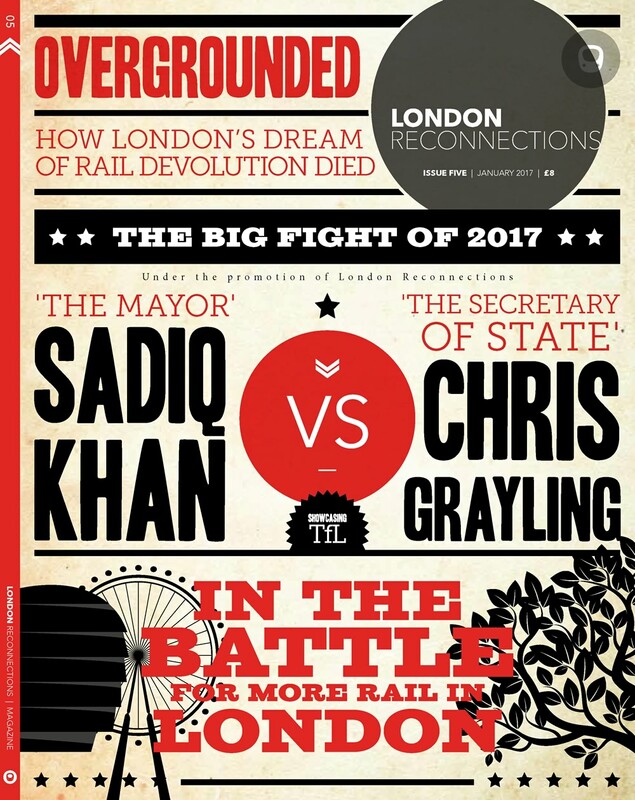 TfL’s decision to release the funding tranche in February 2016 to the Garden Bridge Trust has become the focus of fierce criticism given that it enabled the then beleaguered trust to sign a construction contract, a move estimated to have cost the taxpayer as much as £19 million of the likely total bill of £46 million. “In a letter to TfL sent in late January 2016, the trust’s deputy chair, Paul Morrell, argued that it had met the six conditions in the funding agreement necessary for the release of the £7 million. “The first of these conditions was about demonstrating to TfL’s satisfaction that the trust had secured, or was able to secure, a sufficient level of funding to build the bridge. In this section of his letter, Morrell claimed that the trust had raised a total of £145 million, a figure that included the £60 million coming from central and London government. No explanation of the funding discrepancy has been forthcoming. More sordid details are coming out from the investigation into this badly flawed process. “Designer Thomas Heatherwick’s behind-the-scenes role on the charity developing the Garden Bridge included suggesting that trustees sign the construction contract and begin building work early, according to board meeting minutes. “Politicians have previously complained that the bridge’s designer was conflicted because of his additional role as the sole founding member of client body the Garden Bridge Trust. Now board meeting minutes reveal that Heatherwick argued weeks before the contract with Bouygues was signed that making this move would transform the beleaguered scheme’s prospects. “Although he attended several board meetings, Heatherwick was not a trustee and was not involved in the trust’s day-to-day running. When the AJ revealed Heatherwick’s role in the trust last December, Heatherwick Studio described it as an ‘honorary membership’ and ‘little more than a badge’. And now we have the prospect of a bridge to Ulster…. Is this the same Thomas Heatherwick/Heatherwick Studio that gave us the Borismaster? (Apologies if this has already been mentioned and I have missed it). Yes, the one and the same. @Malcolm, LBM. It was a somewhat tongue in cheek question. I see that Heatherwick’s somewhat similar Pier 55 project has also hit the buffers, to use a railway-derived expression. A floating park that doesn’t actually float…. Sorry, we both seemed to fail to notice the “wry grin” emoticon attached to your question. In fairness to the architect and his studios, he is not known to have broken any rules or laws, or behaved unethically. This may not be the case with other participants in the fiasco. He may have got his costs wrong – we’ll never know – but many architects do the same. Yes, sorry – I should have been clearer. In my defence, being a technophobe, I am not familiar with emoticons – although I admit to being aware of emojis! London Mayor Sadiq Khan has backed calls for a new Parliamentary or National Audit Office probe into the millions of pounds of UK taxpayers’ money spent on the Garden Bridge, states Architects Journal. “Speaking at Mayor’s Question Time yesterday (20 July), Khan said his administration had carried out exhaustive scrutiny into the aborted Heatherwick-designed project and pointed out that central government had committed £9 million of underwriting to the scheme. “This cash, Khan noted, had been promised more recently than money from London taxpayers, against strong advice from top civil servants at the Department for Transport (DfT). “A total of £60 million of public money was committed to the Garden Bridge, which was scrapped in August last year, with half coming from the DfT and half from Transport for London (TfL). Despite the fact that construction never began, the total bill to public purse is expected to be around £46million. “Calls for a Parliamentary inquiry have been made in the past few weeks by MPs such as shadow communities secretary Andrew Gwynne, Lib Dem leader Vince Cable and Labour MP for Vauxhall Kate Hoey. “Responding to a question from Labour London Assembly member Tom Copley, a long-time critic of the Garden Bridge, Khan confirmed there was no chance of this money being recovered. “‘The bad news is that the money, authorised under direction by the previous mayor, has been spent,’ he said. ‘Previously, City Hall has done a lot of work in relation to the [inquiry] work the Oversight committee has done, TfL has done a lot of work, there’s the work Margaret Hodge did. We are investigating whether a concerned member of the public can take action against the Trustees ( that seems unlikely) or whether the Charity Commissioners can be forced to think again about the clean bill of health they gave the Trust.. It seems that the most obvious course is for the payers of public money-TFL and the GLA or one of the private donors to sue the Trustees. Will they step up ? Architects’ Journal is now expressing concern about the lack of action on the Garden Bridge issue by the present Mayor and GLA. @ Guano – perhaps the Architect’s Journal are not aware that not much happens in August at City Hall? The Assembly has no meetings in that month and the Mayor will almost certainly be on / about to be on holiday. Expecting much to happen of any great political import in August is a bit misplaced. What on earth do they think can be done? Sue the Treasury to get the money back? Sue the Garden Trust who probably have next to no assets? I agree the Garden Bridge is a monstrous scandal and waste of public money but there is little scope to get the money back without spending a lot of money on most likely very protracted legal action. threaten legal action against Trust, according to the Architect’s Journal. “While the taxpayer is expected to lose £43 million, private donors are owed almost £7 million by the trust and the AJ has now established that several are now claiming the trust broke promises to return their money in the event the bridge was not built. Interesting – as the trustee of a small charity myself, I understand that “Restricted Funds” have to be used for the purpose for which they were donated, so, to take a topical example, a someone has donated money to a zoo specifically to adopt a penguin, it can’t use that money to make repairs to the monkey house, however urgent the need for the latter may be – even if all the penguins in the zoo have succumbed to bird flu. The issue here seems to be whether restricted funds have to be treated as “preferred creditors” if the charity is effectively bankrupt – so they can get their money back if the promised bench can’t be installed on the bridge because there is no bridge to put it on. And that in turn determines how much the underwriter (TfL) is liable for. “Today’s summons (30 November) from the assembly’s oversight committee requires TfL – which is chaired by London mayor Sadiq Khan – to supply it with two letters the transport body was sent last year by Garden Bridge Trust chair Mervyn Davies, a peer and former minister. “The Heatherwick-designed crossing was scrapped in August 2017 before construction began but is still expected to cost the taxpayer £43 million. “The trust is attempting to wind up as a charity but this has been prevented by behind-the-scenes wrangling over the final chunk of public money earmarked for it: a £5.1 million payment set out in an underwriting agreement provided by the Department for Transport (DfT) but ultimately to be paid by TfL. Why does it say 30 November? The 30 November 2018 date appears to be the actual summons date, and this was only made public in the linked Architect’s Journal story dated 30 January 2019. I don’t know why the delay. “LBC” have done some work on this and have just published their own story on this subject. People may find it of interest. “In an interview in 2014, Lumley told me…”, yet in the next paragraph “she told Theo”.